The Tinidee Hotel is an institution in Ranong, a large and well-established hotel with decent rooms, well-trained staff and quality service. The hotel offers a pool, a spa as well as a gym and yoga classes. 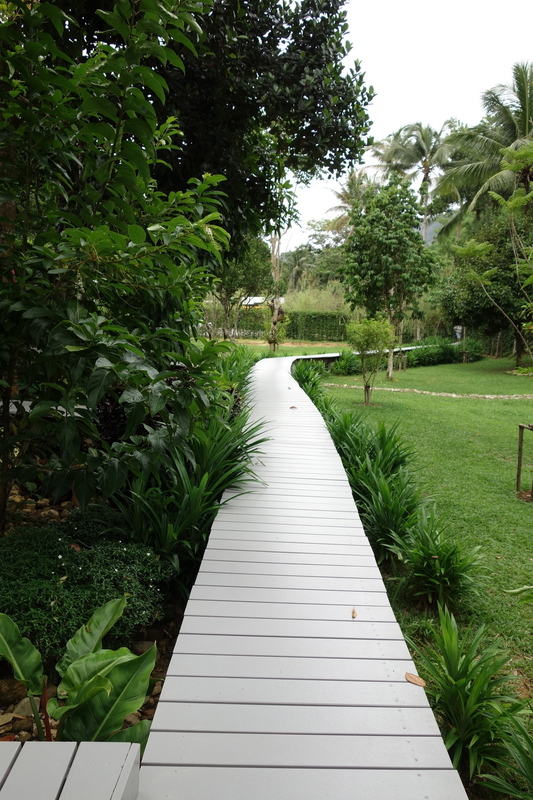 Located right in the city center, it's a great base to explore Ranong and the surrounding area. Burma Boating has a cooperation with the Tinidee Hotel. If you have to wait for flight connections before or after your trip, you can spend a few hours in the hotel, leave your luggage there and use the facilities and services at a rate especially discounted for Burma Boating's guests. 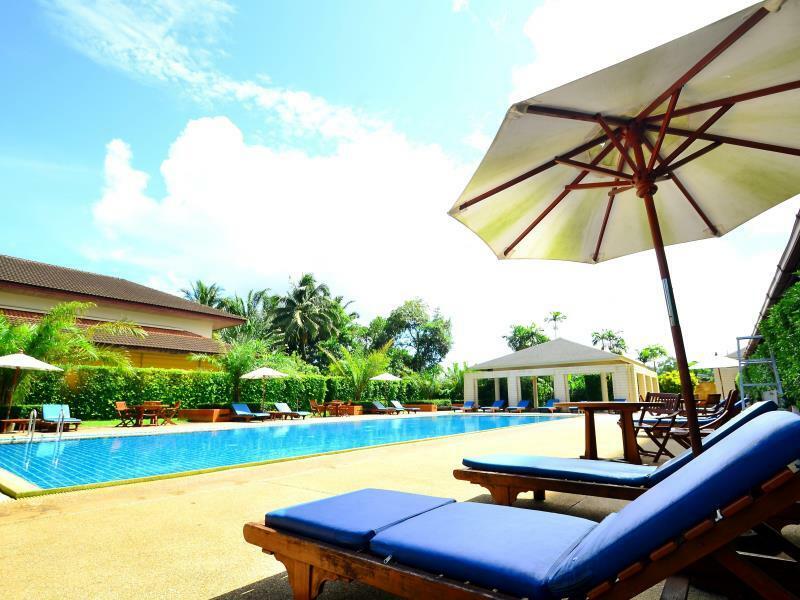 Guests arriving via Ranong Airport will be brought to the hotel to freshen up and recharge. We will pick you up and bring you to the yacht just in tome for boarding. 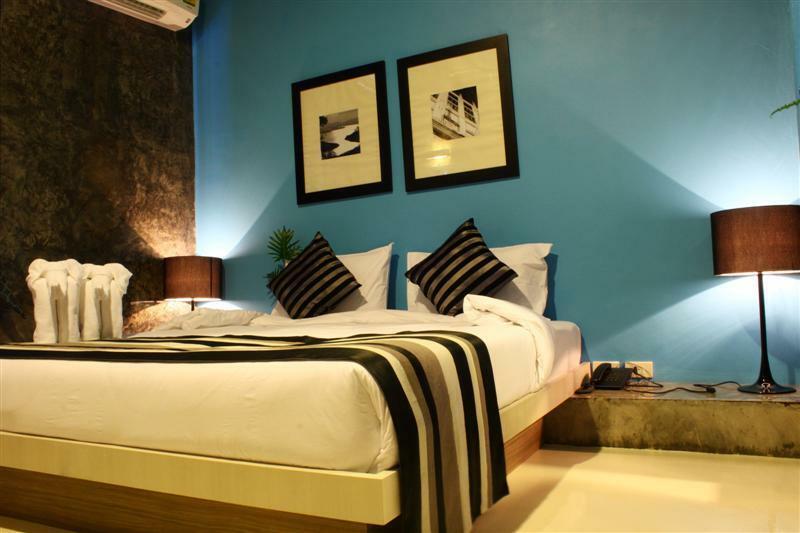 Rooms are about THB 1,500-2,000 or about USD 40-50. 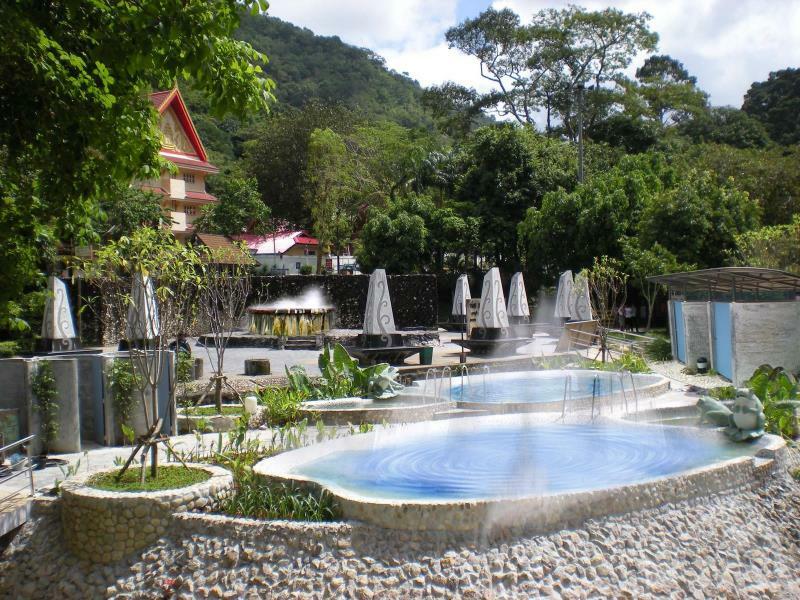 This is one of the best hotels in Ranong, located in natural surroundings by the sea, just outside the town center. The Blue Sky Resort is a great place for those who'd like to spend a relaxed night in Ranong before or after their cruise with us. The small boutique hotel features a pool and a restaurant and their friendly staff offer excursions to the hot springs close by. Some guests told us that cell phone reception can be patchy, so the Blue Sky Resort might not work for you if you need to work or be connected. If you are looking for some peace and quiet, this is just the place for you. Room rates are THB 4,000 for a forrest view suite and THB 8,000 for a sea view suite. The B in Ranong offers charming boutique accommodation in downtown Ranong, a 5-minute drive from Rattana Rangsan Palace. We like to recommend it, as it's a central, easy and convenient play to stay if you have to spend a night in transit in Ranong. 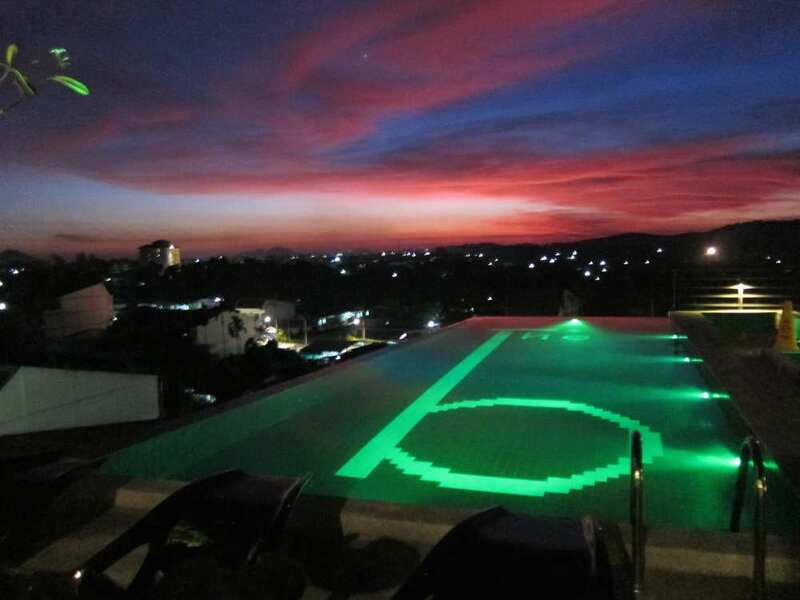 Besides its rooftop infinity pool it also has a large snooker bar and free Wi-Fi.The air-conditioned rooms feature both cool cement walls and bright bold colours. All come with a flat-screen TV minibar and personal safe. Free parking is provided, as well as laundry services and airport shuttles which are available upon request. The Bistro Restaurant serves a selection of Thai and European dishes. 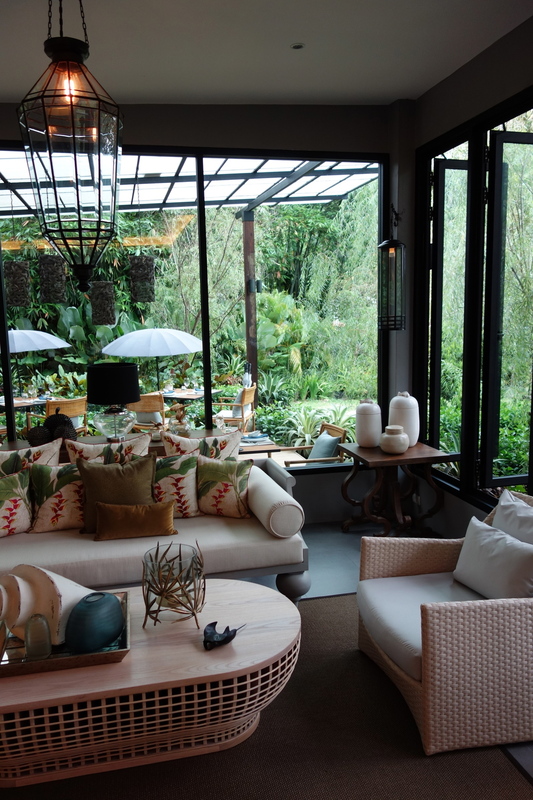 Guests can choose to dine outdoors. Rooms are about 30-40 USD per night. 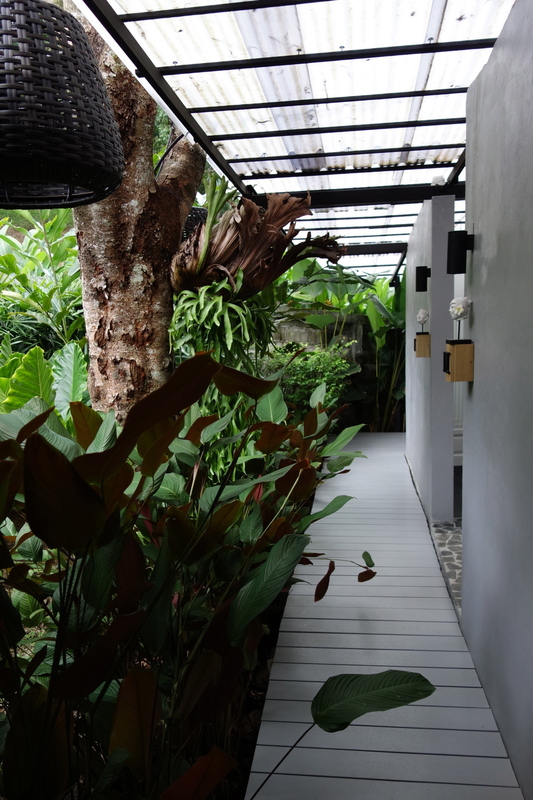 The Hidden Resort is a small boutique hotel with just eight nicely designed bungalow-type rooms in a colorful garden in the hills, just a few kilometers outside of Ranong city center. Rooms are clean and nicely done, when you wake up and look out of the window it feels like you spent the night in the jungle. The hotel is owned by a Thai business man who's been in the industry for a while and runs a few resorts and hotels in different Thai cities. 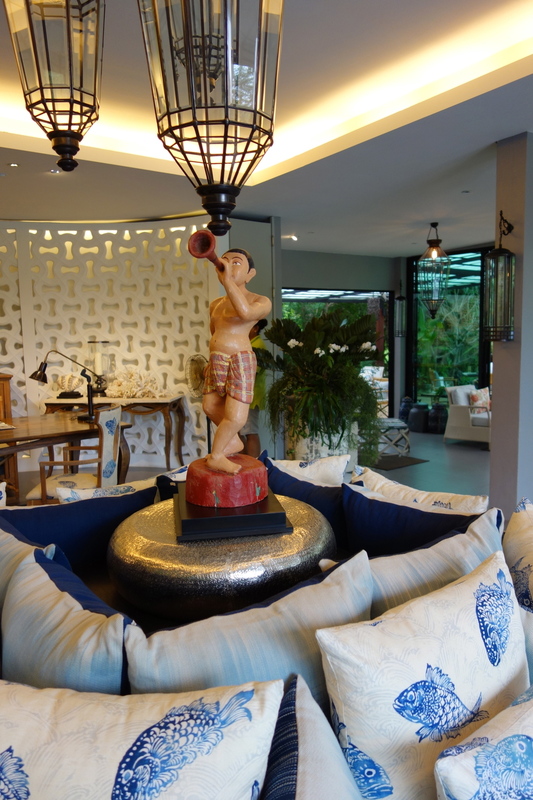 The Hidden Resort just opened a few months ago and might be the nicest hotel in Ranong town. If you book through a travel agency, rooms will cost something in the area of 100 USD.